Loudspeaker Isolation Plinths – designed to dampen residual energy in floor-standing loudspeakers. 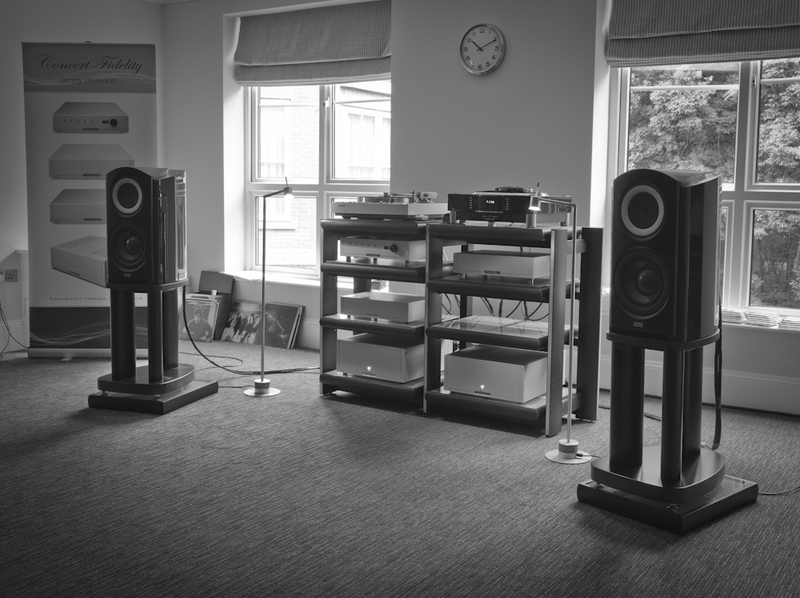 Using the same construction techniques as the shelves, these plinth’s will help to reduce coloration from the actual speaker enclosure, resulting in improved definition, air and space, clarity & dynamic ‘slam’ when used on a suspended or wooden floor. These make a significant difference even to very high end loudspeakers, and should be considered a fundamental part of any loudspeaker system. Each base is fitted with either 3 or 4 height adjustable feet for perfect levelling and rake angle fine tuning. Weight is approximately 10kgs for each base. Made to fit any model of speaker, floor standing or stand mount. Prices start at £1525 per pair. 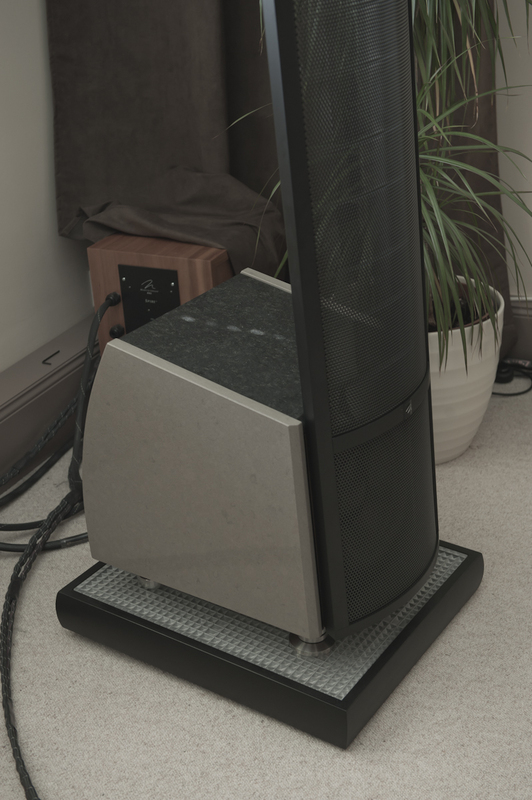 Mirage Loudspeaker Plinth with TAD’s CR1 stand mount. The difference under the Martin Logan’s was astonishing..